Preparing for the unknown can be complicated; a hospital’s best defense is creating emergency preparedness protocols for a wide variety of “what if” scenarios. One foreseeable need in the face of any public health emergency— from natural disasters to industrial accidents—is the ability to quickly add experienced nurses to existing hospital staff. The right staffing solution is crucial to effective disaster response. The business of healthcare relies on predicting the unpredictable. Hospital executives and managers of various departments use budget forecasts, predictive modeling, and analyses of historical trends to plan strategically. They study seasonal variations in admissions rates and assess patient acuity daily to inform staffing decisions and aim for optimal nurse-patient ratios. And, quite often, they can pinpoint a formula that works well for them—at least, until disaster strikes. The ever-present possibility of a catastrophic event means hospitals must be nimble enough to respond quickly and appropriately to emergencies. This can leave budget-minded and patient safety focused executives in a vulnerable position, particularly if they are operating lean when it comes to nurse staffing. What happens when a hospital is staffed at (or just above) average capacity, and a public health emergency (PHE) befalls the community it serves? A PHE can be any type of unplanned event that results in significant illness, injury, or death-in other words, an event that expands patient volume rapidly. This includes acts of terrorism, natural or manmade disasters, infectious disease epidemics, industrial accidents, transportation related accidents, etc. With so many casualties arriving all at once, the facility opened three levels of burn units and triaged patients according to severity of condition. Lacking an adequate number of ICU nurses to staff these units, the hospital contacted Fastaff. Six Fastaff Rapid Response® nurses arrived on site within days and worked extended shifts, providing intense coverage for the critical burn patients with no overtime costs to the hospital during the four-week assignment. The facility received the ICU staff and expertise it needed, without becoming locked into the standard 13- week assignment length. By utilizing Fastaff nurses, it was able to provide multiple levels of care to the victims of the deadly explosion. When it comes to personnel, nurses are an essential component of emergency preparedness and disaster response. It makes sense that nurses are on the frontlines when a PHE strikes, as they are the largest workforce segment in the U.S. healthcare industry.3 Nurses are necessary to triage incoming patients, support physicians on trauma teams and surgical teams, care for admitted patients, and potentially administer vaccines in the event of bioterrorism or an infectious disease epidemic. Both the AHRO4 and the Institute of Medicine (IOM)5 state that effective public health and disaster response systems rely on hospital- based nursing personnel. However, going solid when nurses are understaffed can result in patient flow challenges, e.g., surgical patients being monitored at the Operating Room because the Recovery Room is understaffed or full,8 or patients being boarded in the Emergency Department while waiting for a staffed bed to open in a Critical Care Unit.9 When the ED is over capacity under normal conditions, it has no surge capacity in the event of a PHE.10 In a nutshell, while going solid is often favored by hospital administrators as a way to operate more efficiently, it also raises the stakes during an emergency. In August of 2012, as meteorologists predicted that Hurricane Isaac would make landfall in Louisiana, a hospital in the storm’s path began emergency planning. Keeping the devastation of Hurricane Katrina in mind, and with the goal of providing continuous emergency room operations during the storm, the facility contacted Fastaff. Even though commercial flights to the area were suspended, Fastaff was able to provide two dedicated ER nurses who drove through the night to arrive ahead of the hurricane. The facility provided the nurses with a place to rest after their long drive and then they went right to work, assisting the hospital with whatever was needed for the duration of the storm. These Fastaff Rapid Response® nurses had filled out disaster relief forms ahead of time, agreeing to be on-call and ready to provide support during PHEs. It's clear that nurse understaffing is not an option during a PHE and that hospitals need a standby plan for staffing to surge capacity. The AHRO notes that disaster planning must include a plan for pulling in previously untapped human resources and making sure they are adequately trained.12 Experts recommend pulling in supplemental staff, including retired nurses and travel nurses, to meet a temporary demand for emergency medical care.13/14 Yet it’s important to note that retired community nurses available to help in the event of an emergency often cannot cover critical units, such as ICU, NICU, PICU, CVOR, OR, ED, and CVICU. Maintaining core staff for the existing patient population in these areas is crucial, particularly when nursing staff is being reassigned to meet increased demand for emergency services. Disaster response requires adding highly skilled nurses who can report to work immediately and hit the ground running in a specialty area, with little to no orientation-which is not always an easy staffing solution to come by. Emergency Room: This is the main point of entry in the event of a disaster. Experienced trauma nurses are critical for triage and to support physicians. Critical Care: Intensive care units require highly skilled, specialized nurses to care for the most critical patients. They often call for a nurse-to-patient ratio of 1:1 or 1:2, making staffing a challenge when patient volume increases, particularly in rural hospitals. Surgical Services: During an emergency, all operating rooms and post-anesthesia monitoring areas may be in operation 24 hours a day, requiring additional surgical staff at every level. Obstetrics and Neonatal: Babies continue to arrive, even when obstetrics staff are reassigned during an emergency, and maternal hospitalizations have been known to rise during influenza pandemics.15 Skilled staff is essential for NICU, LDRP, and MB/PP units when demand for these services surges. In times of increased volume or increased demand for particular nursing specialties, operating with lean staffing can pose severe risk to a facility. Adding experienced nurses to existing core staff not only provides continuous, high-quality care, but also allows appropriate relief and rest for core staff throughout the PHE duration. Email our client services team at HelpNow@Fastaff.com. Initiate the insurance policy having a contract executed in the event of a PHE. Let Fastaff evaluate your needs. 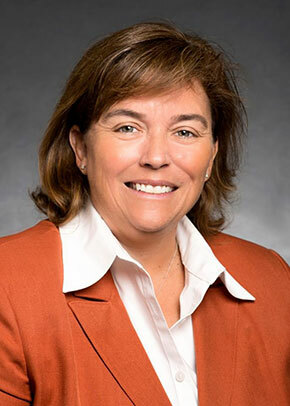 With more than 17 years of experience as a former buyer of hospital contract labor, Kathleen Kohnke understands the importance of having a comprehensive emergency management plan ready to activate. Kohnke currently builds staffing strategies for hospital clients nationwide as Fastaff's vice president of client services. She's ready to be your trusted partner in contingency planning. 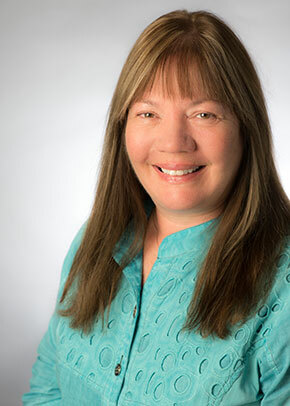 With a well-rounded career in various aspects of healthcare, Dr.
Windsor has become a prominent force in clinical operations, hospital administration, risk management, human resources and staffing. Evolving from a staff nurse to the vice president of nursing for a major health system for nearly nine years, Dr. Windsor provided leadership for critical care, operating room, emergency department, pharmacy and medical/ surgical units. As the vice president of human resources, Dr. Windsor's experience spanned to cover employee relations, compensation, talent management, benefits and occupational health. With more than 13 years in the staffing industry, Dr. Windsor applied her clinical and human resources expertise to provide insight into identifying quality nursing solutions for hospital systems nationwide. Dr. Windsor is accomplished in her implementation of credentialing standards to meet or exceed qualifications by the Joint Commission, as well as program integrity, risk and managed service programs. Institute of Medicine, 2006 Institute of Medicine. Hospital-based emergency care at the breaking point. Washington, DC: National Academy Press: 2006.